This course is now sold out and wait list-only. If you would like to be added to the wait list, please contact training@gstcouncil.org (Subject line “GSTC Online Course 1901 Wait List”). Our next online course is scheduled for April 22 – May 17, 2019. See all the upcoming training options here. These live webinars will be recorded and participants will be able to watch the recordings any time during the training class period. Although strongly encouraged, attending these sessions live is not mandatory. 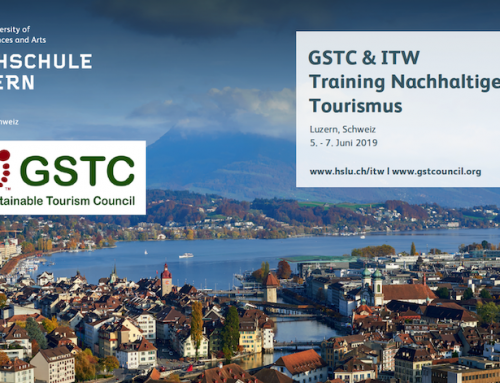 The GSTC Sustainable Tourism Training Program (STTP) provides the knowledge and resources needed to help improve sustainability practices by tourism industry businesses and destinations. Built on the framework of the GSTC Criteria, the global baseline standards for sustainability in travel and tourism, the STTP training class will help you achieve tangible actions that fulfill the globally recognized standard of sustainability best practices. Delivered as a 4-week-long facilitated and interactive training class, the sustainable tourism online course offers a convenient way to improve your sustainability skills in a flexible online learning environment, while at the same time learning alongside GSTC experts and fellow sustainable tourism practitioners. 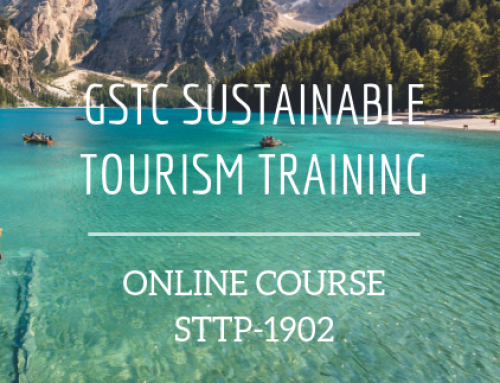 By completing this 4-week online training class of the STTP, you will meet the training requirement towards earning the GSTC Certificate in Sustainable Tourism. Steve Noakes has been involved in the travel and tourism industry for 40 years, and is a long term advocate for sustainable tourism practices across the Asia Pacific region. He is founder of Pacific Asia Tourism, an international project management company focused on tourism’s capacity to contribute to the Sustainable Development Goals and the Global Code of Ethics for Tourism. 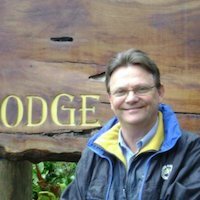 He is also Director/part-owner of Ecolodges Indonesia & EcoSafari Indonesia, operating ecolodges and inbound tours with a wildlife and biodiversity conservation focus across Indonesia, a Director of Binna Burra Mountain Lodge in the world heritage listed Lamington National Park in Australia and a Director of the Lamington Natural History Association at Lamington National Park. He has also been an active participant on the UNWTO Panel of Tourism Experts and the World Committee on Tourism Ethics, contributing to a number of UNWTO projects in Asia and East Africa. He is an Adjunct Research Fellow at the Griffith Institute for Tourism, Griffith University, Australia, and teaches the full semester Sustainable Tourism & Indigenous Cultures, subject at Bond University, Gold Coast, Australia. Ayako Ezaki is Co-Founder and Head of Knowledge Management & Communications at TrainingAid, an international tourism and training company offering online training courses and skills development opportunities for tourism industry professionals. Having worked for over ten years in tourism professional training and education in the non-profit sector, Ayako specializes in content building, educational program design, and project planning. She also brings many years of experience in online communications, social media marketing, and web publishing. 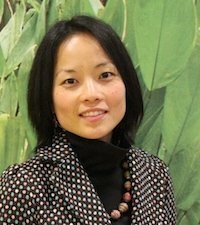 Through TrainingAid’s partnership with the GSTC, Ayako serves as Training Director to develop, manage and market the GSTC Sustainable Tourism Training Program (STTP). 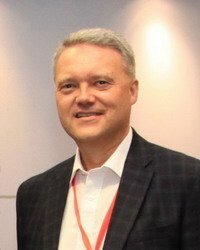 Dr. David Ermen is a consultant and speaker, with a focus on destination management, service quality improvement, and sustainability. His experience in consulting, tourism development, and training spans Europe, the Middle East, Asia & Oceania. 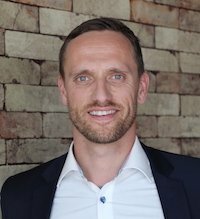 David researches, teaches, and guest lectures on service management and destination management related topics at the HTW Chur in Switzerland and at other tourism schools abroad. In 2017, David was involved in writing the UNWTO’s “Journey to 2030” report for the International Year of Sustainable Tourism for Development, focusing on the private sector’s contributions to achieving the Sustainable Development Goals. Recent speaking topics have included the management of destinations to avoid overtourism and millennials as sustainable travellers. Amy McLoughlin is the Co-Founder of Ayana Journeys, an educational travel specialist in Cambodia – a ChildSafe Certified and Global Youth Travel Awards recognised ethical tour operator. She is passionate about and a specialist in the areas of tourism for community development, responsible alternatives to voluntourism, and travel in protected landscapes. 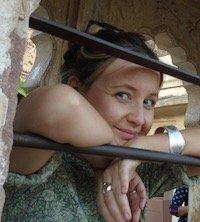 Amy has a decade-long, varied background in responsible tourism, with hands-on experience in the UK, India, Malaysia, and Cambodia. She has led sustainability campaigns that have received international recognition, such as the World Responsible Tourism Awards and WTTC’s Tourism for Tomorrow Awards. To date she has assessed hundreds of tourism organisations, with a majority and most recently across Asia through her role as the Wild Asia Responsible Tourism Awards Manager (which concluded in 2016). 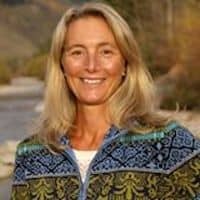 Dr. Kim Langmaid is the Founder and Vice President of Sustainability Programs at Walking Mountains Science Center in Colorado’s Vail Valley. Kim played a lead role in the creation of the Actively Green (GSTC-Recognized) industry standard, the Mountain IDEAL (GSTC-Recognized) destination standard, and assisting Vail, Colorado in becoming the first certified sustainable destination in the United States. As part of your registration, you will receive training materials to be provided prior to the class; access to the online training platform; and a Certificate of Completion confirming your attendance in the class. 5-10 people: US$ 375 per person. *Can’t make it to this class? STTP online training classes are offered quarterly, in addition to the onsite face-to-face training classes offered throughout the year in various locations around the world. See all upcoming STTP training classes here.